Another 500 Days of Summer Scene. . Wallpaper and background images in the 500 Days of Summer club tagged: 500 days of summer joseph gordon-levitt tom scene mckenzie geoffrey arend. 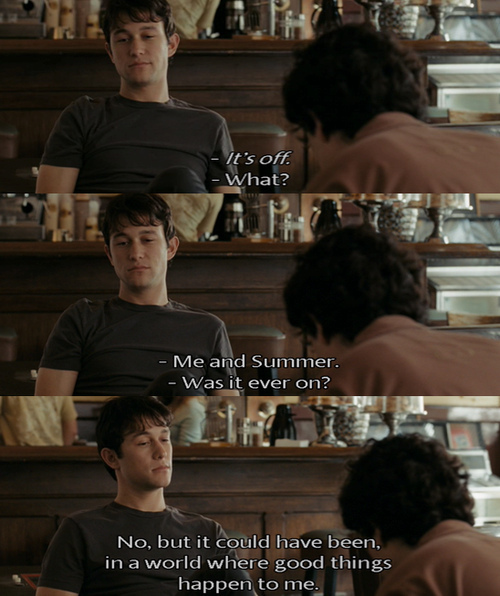 This 500 Days of Summer fan art contains brasserie. There might also be bistro, reading room, and dinner table.